Samsung Galaxy Note 10.1 is announced but it seems people are interested more about Galaxy Note 2. And surprisingly Samsung rumor mill is still very quiet on this topic. 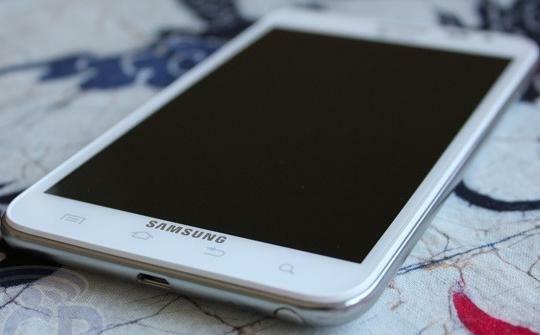 This time with the help of KoreaTimes we just knew that the Samsung Galaxy Note 2 will utilize a 5.5-inch flexible AMOLED display. Don’t expect to bend your next Note yet, because it might only helps Samsung note make Galaxy Note 2 slightly curved. This type of AMOLED uses a Unbreakable Plane (UBP) and plastic substrate helping it reduce its thickness by 0.4mm. 0.4mm is not ringing your eye yet? Think of a 8-9mm device, on a 5.5" screen, the space saved is enough for Samsung to employ a far larger battery without making the Note 2 any thicker than its predecessor. Samsung's Unpacked event on August 29, wait till the date to see the real face of Samsung Galaxy Note.